If you are interested in submitting work to The Lost Country, be sure to read the guidelines and directions for submission. 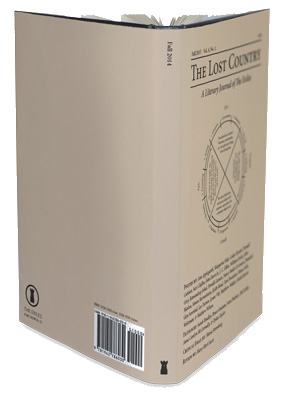 To learn how to subscribe to The Lost Country, please visit the subscription page. The publication is currently available both online and in print. If you would like updates about new publications or events, follow us on Twitter, like us on Facebook, join our mailing list, or send us a question using the form below. If you have any questions about The Exiles or our publication The Lost Country, please feel free to contact us at info@inexsilio.com. Contact us. Connect or advertize with us. Submit your work. Support us with a donation. There are many ways to join the Exiles.